The amazing character of the Grand Hotel Villa Igiea comes from the classic luxury style of the original Art Nouveau interiors installed by the famous architect Ernesto Basile at the end of the 19th Century. Many of the original frescos, decoration and furniture remain today, keeping the grand and magnificent style alive. This home away from home is placed on the Bay of Palermo, surrounded by stunning, serene vistas. Boasting an impressive 120 rooms, this resort is very much a landmark of Sicily’s capital city. Perched on the northern edge of the island, overlooking the dazzling Mediterranean Sea, Villa Igiea is idyllically placed in Sicily’s capital Palermo, a city with bundles to offer. Just 3 kilometers, a quick 30-minute walk, from the center of Palermo there is plenty to do and enjoy, with Villa Igiea’s staff on hand to help you make the most of your stay. If you are lucky enough to have your own, the hotel’s private yacht marina is on hand for you to casually sail up to and drop anchor. 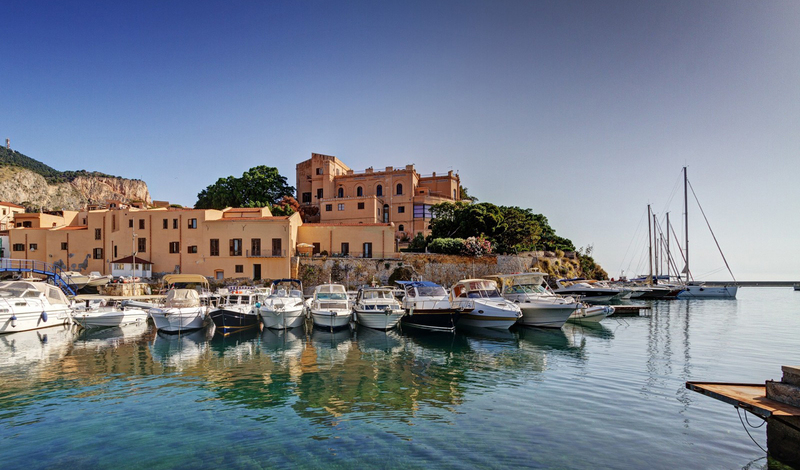 However, if you are still saving the pennies towards your yacht, it is an easy 30-minute drive from the Palermo airport. Despite the large number of rooms and suites available, each style is unique and offers something different ensuring you will find accommodations to suit your specific desires. 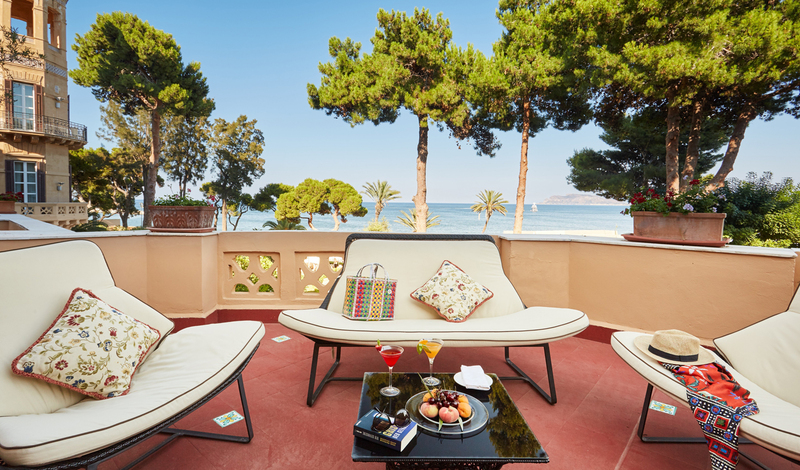 The spacious Superior Room is perfect for anyone who wants to experience a different era of Sicilian style with the Art Nouveau interiors and the luxuriant garden views below, while the Classic Marina Room located in the yachting house next to the Marina is ideal for any sea lover. While each room style differs, they all offer an extensive array of mod cons to cover all your vacation needs. With the abundance of activities on offer through the hotel, it is possible to make your stay at Villa Igiea into whatever kind you fancy. If the culture and wonders of Palermo call to you, you can explore the city with a guided tour of the cities street food and hidden treasures, snorkel in the Mondello Bay or dive the clear water of Ustica, one of Europe’s top diving spots. Or you can simply turn your back against the world, enjoying your time off between the luxurious Beauty Spot, the tranquil swimming pool and one of the many restaurants on offer. Our favorite is the Cuvee du Jour which includes a tasting menu of beautiful Mediterranean cuisine and complementing Sicilian wine compiled by the award-winning chef Carmelo Trentacosti. However you decide to spend your time at the Villa Igiea, it is guaranteed to be truly memorable.